If you are hitting the road this summer to a far away destination, then there is the likelihood that not only that you will be traveling out of the state of Missouri, but also the potential that you might be crossing over many State lines. Missouri is a state that operates under comparative negligence, but not all States are the same. When you are in a car accident away from home, your home-state car accident laws won’t apply; therefore, it is good to be aware of what to expect in case of a car crash. Car accident law is based on the doctrine of negligence. Negligence means that a driver did something that directly led to an accident happening. It can also mean that a driver failed to act when they should have and that it was that failure to act, that directly led to an accident occurring. What Is Comparative Negligence State? In the state of Missouri, if you are in a car accident, it is possible for two drivers to be held liable and responsible for their “portion” of the accident. 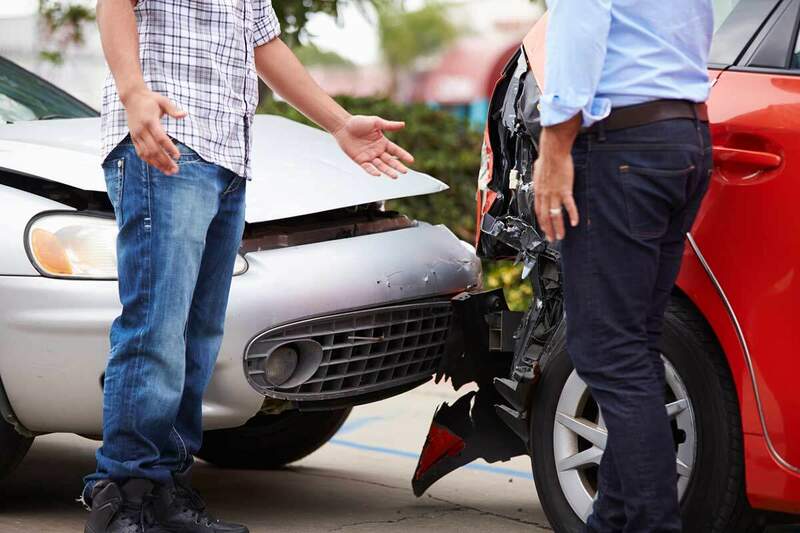 Since two drivers, or even multiple drivers, can act negligently resulting in a car accident, comparative negligence is a way of making sure that each driver is responsible for the part they played, or how much their negligent act contributed to the car accident. Some States operate under the at-fault negligence law. At-fault states require that only one driver is deemed negligent and responsible for an accident. In at-fault states, any driver that is more than 50% responsible for a car accident generally becomes 100% liable for paying for it. If you are involved in an accident in a state that adheres to the at-fault negligence law, then one party will likely be held solely at-fault and responsible. Some states adhere to the no-fault negligence law. In no-fault states, it doesn’t matter who is negligent or to blame in an accident. No-fault states require that every driver have insurance to cover them if they are in a crash. Since it doesn’t matter who caused the accident, each driver takes care of their respective injuries and damages. States that adhere to no-fault laws are required to carry insurance called PIP, which is a type that covers the driver no matter who is at-fault. Missouri requires that each driver carry the mandatory minimum liability insurance. Since it is a comparative negligence state, the insurance company covers the insured person's portion of negligence. However, if you are driving in another State where the laws are different, you might have a hard time dealing with the difference in the way insurance companies pay. If you are in an accident while traveling across the country this summer, it is a good idea to speak with a St. Louis car accident attorney to sort through the details and work with the insurance company to get all that you are entitled to no matter where the accident happens. Is It Possible to Be Partially Responsible in a Car Accident? The driver who is responsible and liable for paying for an accident in Missouri is the one who is found negligent for it. The doctrine of negligence states that someone is considered at-fault if they do something that directly leads to an accident. It also states that if you don’t do something, or you fail to act in a specific way, and an accident happens as a direct result, then you may likewise, be deemed negligent and at-fault. Missouri is a comparative law state, which means that it is possible for both, or multiple drivers, to be found at-fault and responsible. So, if you are in an accident, it is possible for you to be found partially responsible, whether you agree or not. There are many reasons why a driver can be found partially responsible for an accident. Even if you were following the rules of the road, it might be possible for an insurance company to claim that you didn’t follow your duty of care in an accident, and, therefore, you hold some responsibility for it happening. It is possible for them to claim that you are partially at-fault and liable. For instance, if someone rear ends you, it would be reasonable for you to assume that, since they hit you from behind, they are at-fault and responsible, especially if you didn’t receive a ticket for any actions that you took. However, if it was raining out, and you didn’t have your turn signal on, it might be possible for the insurance company to claim that your failure to use a turn signal was partially to blame for another car smashing into the back of your vehicle. It is difficult to fight against an organization like an insurance company but, with help, it is indeed possible. If you don’t hire a St. Louis car accident lawyer, pleading your case and not paying for a portion of the accident, may be extremely difficult. If you don’t have someone in your corner who is looking out for you, it becomes very difficult to win against an insurance company's assertion that you are to blame. If you are found partially responsible, then you will be responsible for paying for your “portion” of the accident. Once the total cost of damages is calculated, each party is responsible for paying for the portion of negligence that they contributed to the crash. If an insurance company is claiming that you are partially responsible for an accident and you don’t believe that you are, it is vital that you speak with a St. Louis car accident attorney to represent you and to ensure that you aren’t left paying for something that was not your fault. Call us 24/7 at (314) 361-4242 for a FREE case evaluation.